Norton antivirus , AVG Antivirus , McAfee antivirus, Kaspersky, there are numerous software’s available to defend your computer against the internet baddies and choosing the right one makes you spoilt for choice. There has been numerous big corporate tech companies that have been at the receiving end of hackers recently. Google , yahoo and many big companies have been in the news for systems being compromised. But its not only the big companies that can get attacked by hackers and viruses but also the home user who is at risk nowadays. Security threats an viruses are just around the corner on the Internet these days and protecting your computer against them is compulsory because as long as you surf the internet your pc can be vulnerable to attack and viruses. Whenever you go online , visit a website ,download a file, click a link, your PC is in danger of getting infected by various types of malware and viruses. A secure software is required to defend your pc or computer against worms, Trojans and hackers. I have used Norton internet security before and i used avg antivirus before i again switched to the NEW Norton 360 Multi Device. I received a copy to review and i was hooked once again to my favourite antivirus , just because they have tweaked the anti-virus quite a bit to use the least power available from your pc to run the software and also making the running of the antivirus very smooth and unobtrusive to normal internet surfing. 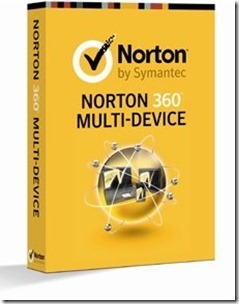 The first thing that immediately got my attention when i got the software was that the Norton 360 multi device not only offers protection for your desktop computer , but also can be used to protect your ipad or iphone or android device and that’s surely a bonus. With fast internet on smartphones and tablets now available you need to secure all these devices with a antivirus software solution, as they all store personal information and passwords that can easily get stolen. One locations to easily manage protection for all of your devices. If you wondered how all this is done , its all in the cloud nowadays and the Cloud-based management brings it all together, letting you easily control your protection for your various devices from one convenient place on the Web. This software package includes an antivirus tool, firewall, anti-malware, a backup system and a PC tune up utility, all the necessary elements needed to protect you against any threat. To keep your pc running smoothly you often need to tune it up and with this software package you don’t need to get another separate tuning software to tune up your pc , Norton 360 has a tune Up section module which provides a set of utilities for disk optimization, temporary file clean-up, diagnostic report, or start-up manager. These are meant to optimize your system, resulting in improved execution speeds and overall improved performance. The content is great and perfect for what you’re trying to say. Awesome web site. Waiting for more posts on this article to read more. Keep up your excellency and efficiency in this same levels. 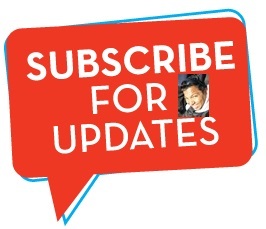 Take initiative and get the amount of customers you deserve.